Last week, this little-known British classic racer sold for an incredible £108,200 ($177,000) at the auction house Bonhams. It’s a 1928 McEvoy—powered by a 45hp 980cc overhead valve JAP V-twin, and capable of over 100mph. Between the wars, McEvoy created state-of-the-art racers, breaking several British and World land speed records. 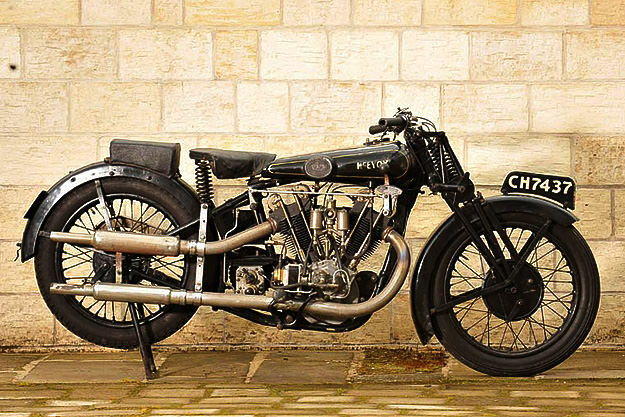 The company built bespoke motorcycles for rich and discerning customers, competing against Brough Superior. But it was a tragically short-lived brand, lasting just five years from 1924 to 1929.